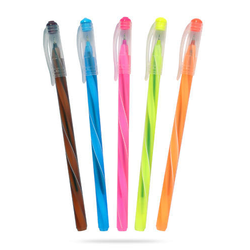 We are manufacturing and Supplying of USE and THROW BALL PENS with using best quality plastic raw material and good quality ink so that user can be writing very easily. 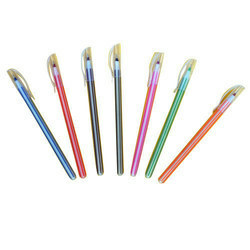 We are also having wide ranges of brand in USE and THROW BALL PENS. Our organization has gained recognition as an affluent manufacturer, exporter and supplier of Direct fill Pens which are used across the globe for flawless writing in various areas. This Direct fill Pens is widely demanded for its fine grip, smooth finish, durability, excellent quality ink, attractive design and fancy looks.